. . . WE ARE MOVING . . .
Our Hospital Support Unit (HSU) is Fully Operational. Private Hospitals (across the Globe) can now Ethically Commission Us to offer Simple Clinical Services (in Malta and Gozo) on their behalf ; while Private Patients (in Malta and Gozo) can also Ethically Commission Us to directly negotiate (on their behalf) with various Private Hospitals (across the Globe). Routine Services via our Hospital Support Unit (HSU) are officially restricted to (Pre-Approved) Private Hospitals and their (Associated) Private Patients at this particular time ; since this Eclectic Commissioning Process fundamentally involves a substantial amount of (Multi-Disciplinary) Professional Leverage. Our Standard HSU Commissioning Fee is 25% (Twenty-Five Percent) of all Negotiated Reductions. Patient A is vaguely considering obtaining Minor Cosmetic Surgery from Hospital B at a Standard Cost of €1000 (One Thousand Euros). At this particular stage , No Final Contract has actually been signed yet between Patient A & Hospital B. Under these unique circumstances , the 25% HSU Commissioning Fee would be €100 (One Hundred Euros) provided that the HSU was able to successfully negotiate the very same Surgery for the very same Patient at the very same Hospital for €600 (Six Hundred Euros). Patient A will then only have to pay out a Grand Total of €700 (Seven Hundred Euros) ; instead of the Standard Rate of €1000 (One Thousand Euros). Capacity : Over 100 Beds (With Further Scope for Expansion , to an Ultimate Clinical Quota of about 300 Private Adult Beds , subject to Appropriate Permissions). Multiple Uses : All Clinical Specialties. Additional Guaranteed Income (of Circa One Million Dollars a Year) ; due to Massive Bed Shortages within the Public Healthcare Sector. 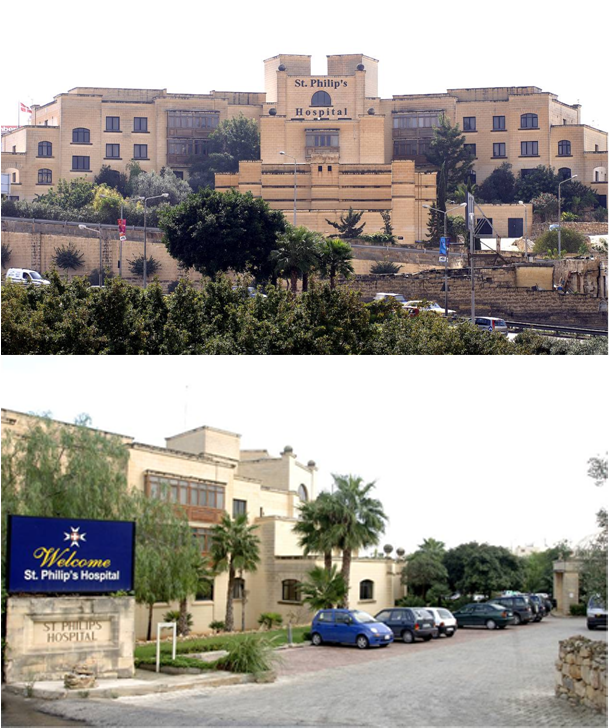 Contact Details : St. Philip's Hospital, Triq Salvu Psaila, Santa Venera. A Sound Investment for Golden Maltese Passport Applicants , under New Government Rules. A Consortium of Investors can all join together to Buy It , Renovate It and even Lease It Out. Invest in Malta ! Invest in Health ! *NB : Remember to Loudly Mention Malta Doctor while Buying ; so that we can (hopefully) receive a Big Fat Cheque from the Honourable Founder. 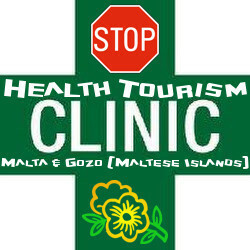 Malta Private Medical Doctors Clinic | Clinical Support Officer (CSO) Training. Short Practical Healthcare Training Workshops are now available in Malta. At the end of these Seminars , Each Participant will be issued with an Official Testimonial of Completion ; which will also duly serve as a Formal Reference for any Job Applications which they may wish to pursue in future. The Exclusive Language of Instruction is English ; and Successful Candidates should be able to feel confident to apply for Very Junior Positions in Health Shops , Clinics , Spas , Pharmacies , Hotels , Hospitals , Care Homes and other related establishments. The Minimum Training Duration is 4 Weeks (for those who enrol via the Intensive Pathway). This Rapid Route is usually for University Students (or Graduates or Professionals) who already know a little bit about Health. The Maximum Training Duration is 12 Weeks (for those who enrol via the Standard Pathway). This Normal Route is usually for those without any Prior Qualifications (or Experience) ; who also do not know much about Health. The Mentoring Fee is still the same , whichever Pathway is chosen ; and everyone still gets the Same Testimonial at the end , upon Completion. There is No Age Limit for our Informal Learning Courses ; and No Prior Qualifications are required. However , all applicants must be able to Freely Communicate in English Language since that is the Sole Language of Instruction. Under New European Union Guidelines , Informal Learning has now been recognized as it's own Separate Entity ; most especially for those who wish to work in the Private ( Non Government ) Sector. The Ministry of Education in Malta already has a Government Register of Informal Learning Providers (of which we are duly included in). Although Typical Candidates for Informal Learning Programmes are usually those without any Formal Qualifications , please note that Informal Learning is a Lifelong Process irrespective of how many Degrees which you may have. Please be reminded that almost anyone can lawfully apply for our Informal Healthcare Training Programmes , from Gap Year Students to Reformed Prisoners and Retired Pensioners. 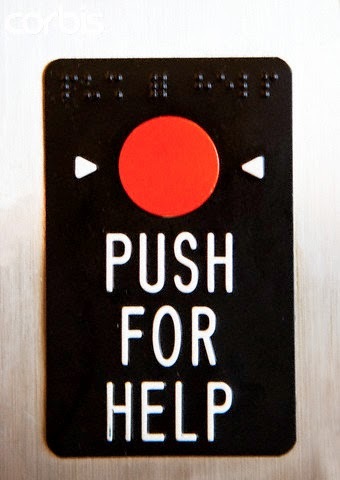 All Training takes place in an Approved Setting. An Induction Ceremony ,(complete with Gown and Mortarboard Cap), usually takes place at the end of each Workshop. Routine Services via our Hospital Support Unit (HSU) are officially restricted to (Pre-Approved) Private Hospitals and their (Associated) Private Patients at this particular time ; since this process intricately involves a great amount of (Multi-Disciplinary) Professional Leverage. As Things Currently Stand , (Politically and Otherwise) , Dr Ian Borg IS UNASSAILABLY (AND RIGHTFULLY) POISED TO BECOME The Next Prime Minister Of Malta (plus Probably , the LONGEST EVER Serving PM in Maltese History) ; AS DECISIVELY VOTED FOR BY OVER 89% OF OUR (CROSS-PARTY) ONLINE VISITORS. No - Nonsense. No Drama. No Tantrums ! Click on the Above Photo to Access our Online Assignments Repository. 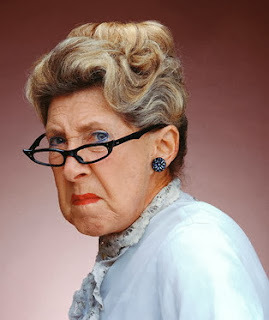 Meet Mrs Daphne DeBono (Mentor Emeritus) : Your (Seriously) Bespectacled Virtual Course Mistress. Her Maiden Name is Orlando. Her Daughter Married a Gonzi. Her Mother Was Born a Muscat. Her First Cousin is a Busuttil. Her Great Aunt was a Farrugia ! 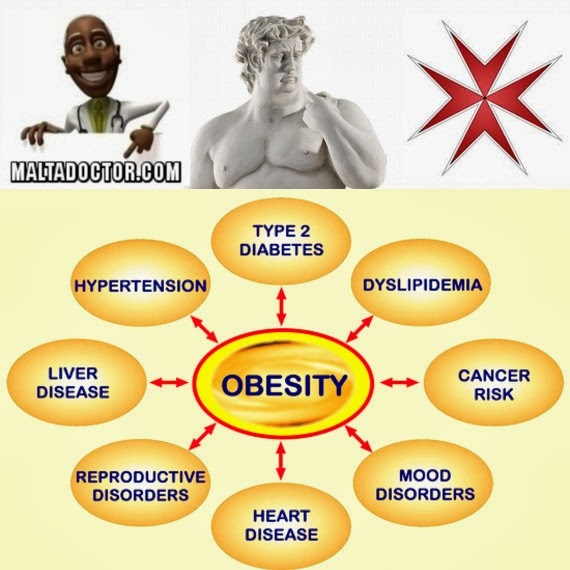 Welcome to the Brand New Malta Doctor Blog. Online Social Networking | Now in Session | Follow Malta Doctor On Twitter | Simple Health Tweets ! Please Note that All Videos are Independently Chosen by a Secret Panel ; and must last Exactly 7 Seconds. 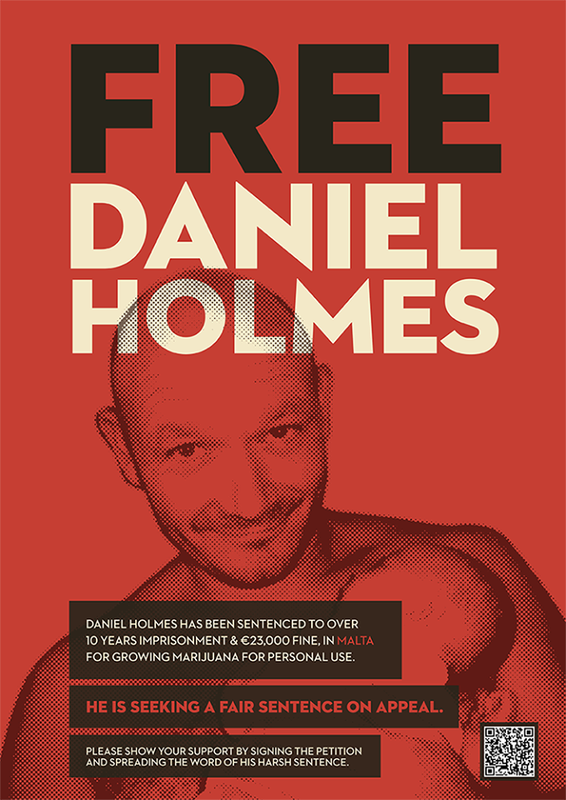 Each Entry permanently remains posted for a Minimum Period of 12 Months. Special Customized (On-Call) Rates are available ; upon due request. * Public Announcement : Private Certification Workshops for Clinical Support Officers. All Rights Reserved . 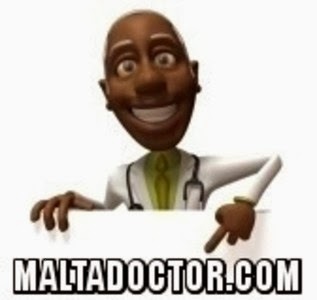 Malta Doctor . Networking with Licensed European Union (EU) Pharmacists. Picture Window theme. Theme images by piskunov. Powered by Blogger.